I wanted to create a dish that would celebrate the eggs from our garden. Most of our chickens are bantam breeds and they produce small multi-colored eggs. Since we only have 15 chickens there are not many eggs to go around- so serving them is a very special treat. I love the combination of egg and sea urchin, the way the richness of the yolk amplifies the creaminess of the urchin and rounds out the ocean flavor. For this dish we separate the yolks and whites, making a wild leek soufflé with a soft egg yolk baked into the middle. 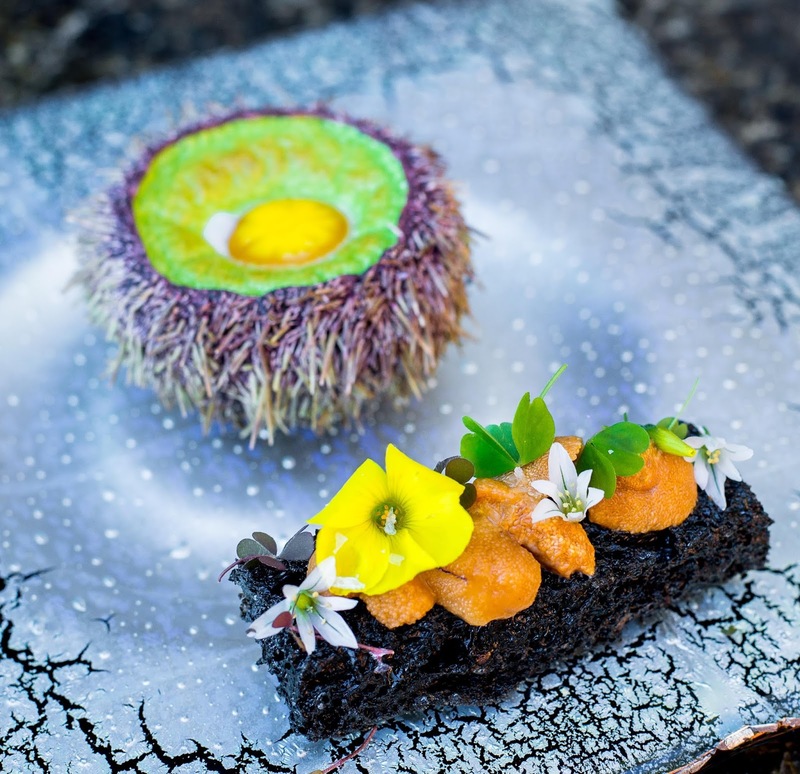 The sea urchin is both baked into the souffle and served on the side with sourdough-ink bread. This is something new and quite innovative to me, you have such a great idea of creating a great dish from your garden's egg. Loved your creation.